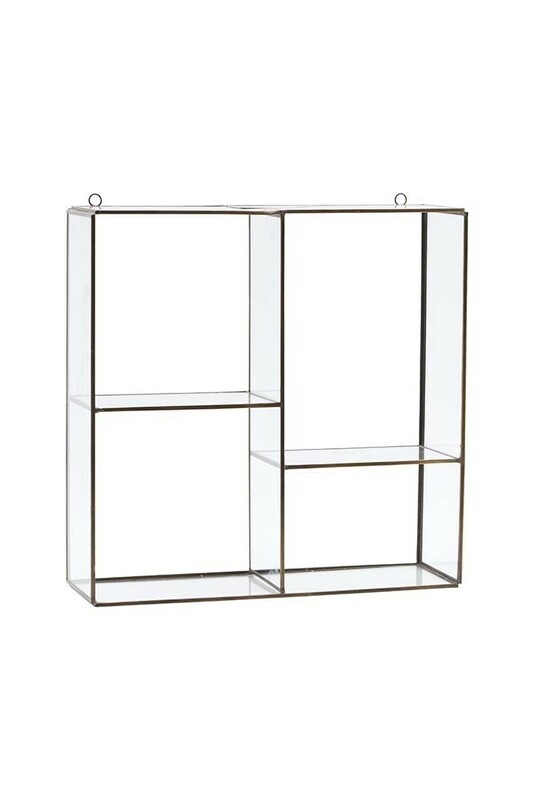 Simple, stylish and great for all your display and storage needs, the Wall Mounted Glass Shelf Unit will help you create a more personal home. 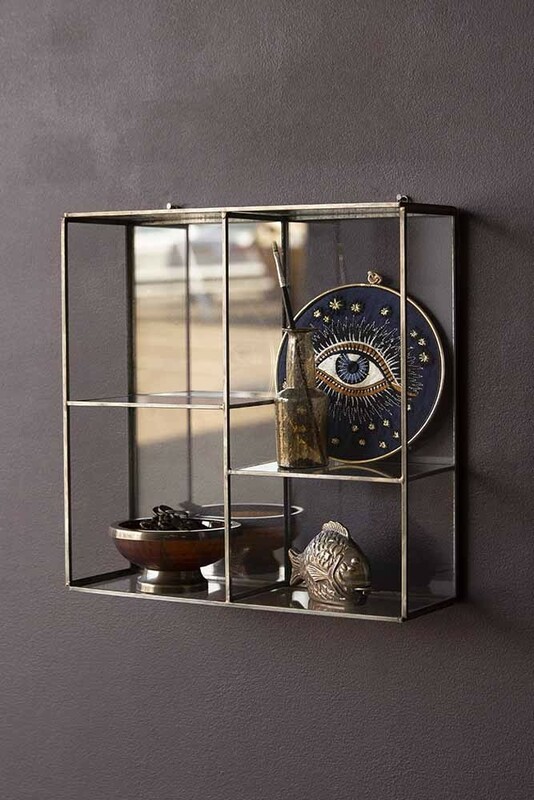 Oh so chic the Wall Mounted Glass Shelf Unit features four compartments of different sizes that are perfect for displaying your most treasured accessories, mementoes and ornaments. 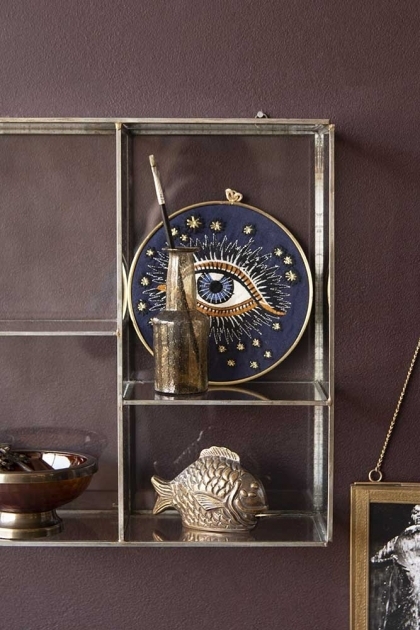 Made from iron and glass the Wall Mounted Glass Shelf Unit measures 33cm in length x 33cm in width x 11cm in diameter. In life and interior design, it’s the little things that make the biggest difference and this is no truer than when it comes to decorative accessories and display ornaments. These display details, no matter how big or small the ornaments are great for injecting personality and creative imagination into your home. So, with this in mind co-founders Jane Rockett and Lucy St George, wanted to source some beautiful display shelves that you could show your treasures off on! 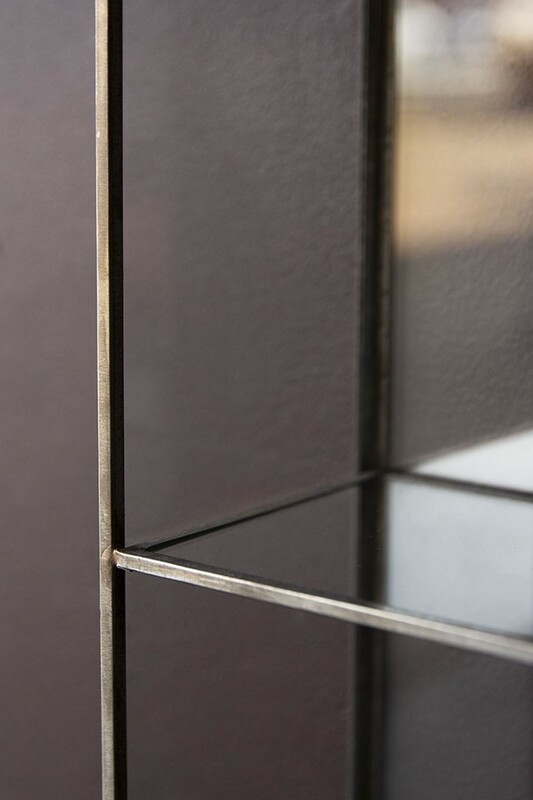 A simple, yet beautiful design we think that anyone who is looking to create style spots and decorative displays in their homes will love this Wall Mounted Glass Shelf Unit. Gather and curate are the golden rules when it comes to creating a eye-catching display. Choose objects of interest that put a smile on your face, have sentimental value or are just incredibly beautiful. Take time to source and curate these pieces, rather than rushing to gather everything at once. Another tip would be to hang this shelf unit in unexpected places such as an unloved nook in your home or in the bathroom. It will breathe new life into your home and you can switch up and change your displays over time.